In 2012, a trio of Android-focused websites were seized by the Department of Justice. The teenage admin of one, Applanet, was subjected to a raid by heavily armed agents and now faces an uncertain future. An Indiegogo campaign launched by his friends and sanctioned by his legal team now hopes to raise enough cash to fight off the Federal Government. At age 15 most teenagers are having fun online and Aaron from Mississippi was no exception. But while most are chatting on Facebook or watching videos on YouTube, this young man had bigger things in mind. 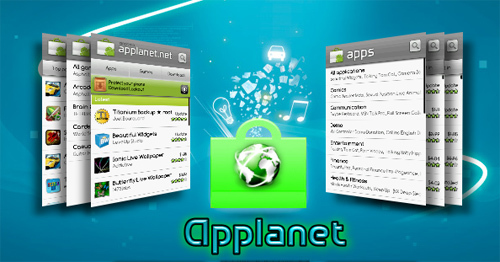 Before his 16th birthday Aaron had launched Applanet, a service dedicated to the sharing of Android software. While the site’s growth and success was undoubtedly exciting for the teenager, by his 18th birthday things had taken a turn for the worse. 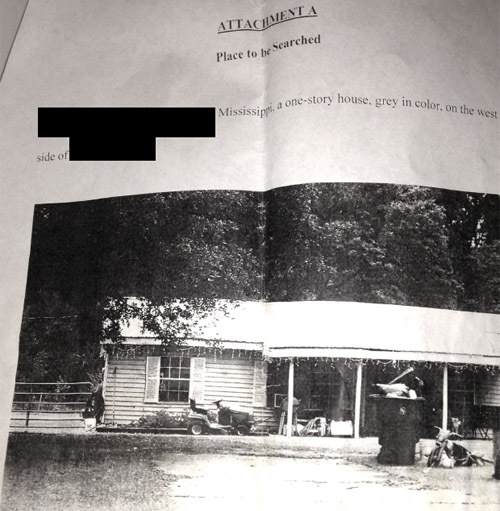 On the morning of August 21, 2012, heavily armed FBI agents raided Aaron’s parents’ home, described in official documents as a “one-story house, gray in color” and pictured with a sit-down lawnmower outside. The lack of any kind of criminal record didn’t dampen the official response from federal agents. “They were fully armed, because you know how dangerous a recently turned 18-year-old geek with no criminal history can be,” Aaron’s friends now explain. While Aaron was trying to recover from his shock, the government was speaking with the media. The Department of Justice said that seizure orders had been executed against three website domain names – applanet.net, appbucket.net and snappzmarket.com – which were said to have engaged in the illegal distribution of copyrighted Android apps. They were the very first seizures of their kind. “Criminal copyright laws apply to apps for cell phones and tablets, just as they do to other software, music and writings,” U.S. Attorney Yates announced. Now, 18 months later, Aaron is still in limbo while the government continues to build its case against him. The 19-year-old is putting up a fight, but of course that’s costing money. The cash put up so far by his family isn’t going to get him through a trial so to try and bridge the gap his friends have launched the Friends of Aaron Indiegogo campaign. They’re aiming to raise $50K, with any surplus automatically getting donated to the EFF. TorrentFreak caught up with Aaron’s lawyer, Rain Minns of Rain Minns Law in Austin, Texas, to find out more about the campaign and her client’s predicament. “I can tell you a little bit about Aaron. He’s 19 years old, has never had any type of criminal record, and doesn’t even have a drivers’ license. His life and friends are on-line. So, when the feds came and took his connection to the internet, they took away Aaron’s entire connection to friends,” Minns told TF. “Friends of Aaron knows that Aaron does not have the money to fight against the massive resources that the U.S. federal government has put into this international power play. I can only guess, but I would suspect that hundreds of thousands of dollars have been spent in this attempt to throw Aaron into prison. The $50k is underestimated, but we do not need to match the feds dollar for dollar. The feds are not known for being cost effective,” Minns explains. While Aaron is likely to be charged with offenses related to software piracy, Minns believes that her client is innocent and should respond accordingly. “I believe that an innocent person should never plead guilty. The key for Aaron’s defense is to be able to have the funds to level the playing field against the resources of the feds,” Minns explains. The Friends of Aaron Indiegogo campaign, which carries more documentation on the raid and aftermath, can be found here. c There are 152 comments. Add yours?